A short movie which seems a short sequel to Disney's blockbuster hit movie Frozen is added in the beginning of the Cinderella movie. 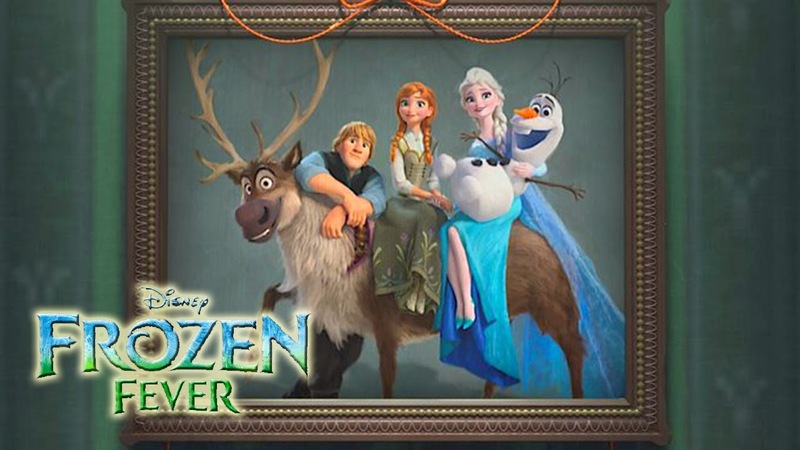 Once again we meet Elsa, Anna and Kristoff in this short movie. It's Anna's birthday and while Elsa wants a perfect celebration for her sister, the misadventures that follow will have you laughing, sighing and thoroughly enjoying! I absolutely loved it and it came as a surprise too! Cinderella is a fairy tale romance that we all have grown up reading about or hearing the story from our parents or watching on TV. Adapted into multiple movies and TV shows, I was yet again enthralled when I watched the latest Disney presentation of this age-old fairy tale teaching hope, kindness and courage! 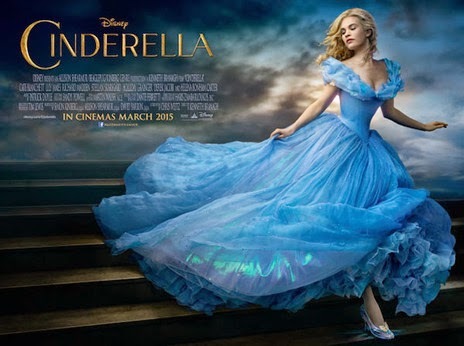 Directed by Kenneth Branagh, the Cinderella movie is colourful, elegant and full of emotional play with an exciting touch of magic. The star cast includes actors shown in the below picture (starting from left to right) like Helena Bonham Carter as the Fairy Godmother, Lily James as Cinderella, Richard Madden as the Prince and Cate Blanchett as the evil Stepmother. Other actors include Hayley Atwell (who also plays the role of Agent Peggy Carter in Marvel's Agent Carter TV series) as Cinderella's mother, Stellan Skarsgård (who also plays the role of Erick Selvig in the Thor movies) as the grand Duke, Ben Chaplin as Cinderella's father etc. The actors do a great job of reliving the Cinderella tale on the screen. Lily James as Ella or Cinderella is realistically kindhearted, courageous, knowledgeable and yet a naive country girl who believes in seeing the good in people and happy in her own world. Richard Madden as The Prince is handsome, just and a true fairy tale Prince. 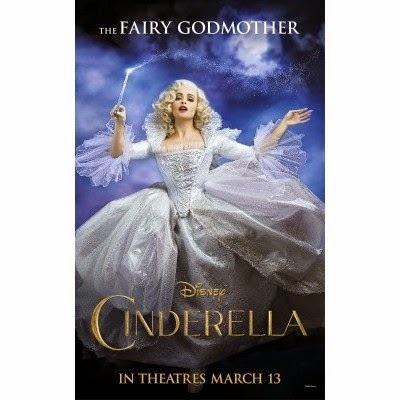 Helena Bonham Carter as the Fairy Godmother is bubbly, slightly eccentric but nevertheless totally adorable with her quirky ways and feel-good magic. 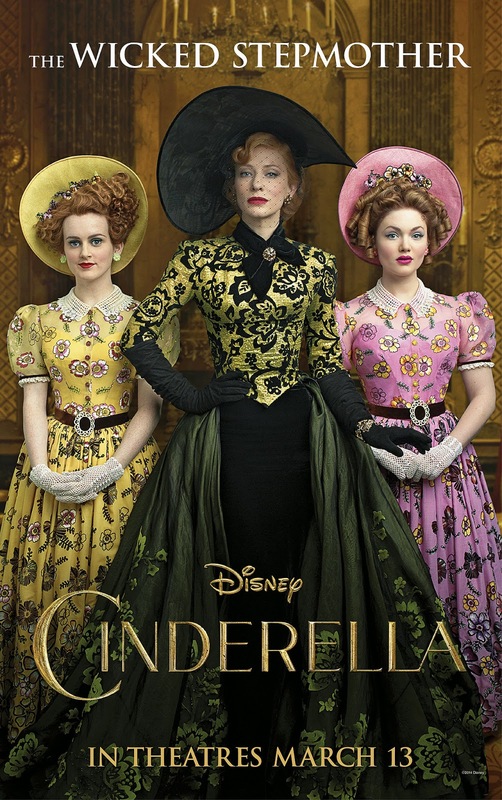 Cate Blanchett as the evil stepmother is beautiful, conniving and yet very humanely portrayed in this movie. She is a woman who “too had known grief” in her life “but she wore it wonderfully well.” and also experienced love once but is now determined to marry off her half wit daughters and live luxuriantly while also making beautiful Cinderella's life hell! The screenplay is again admirable and introduces some twists and surprises throughout the movie which manage to make this already well known story feel new. Helena Bonham Carter's (also the Fairy Godmother) lovely narration makes the story more appealing and I loved her engaging narration style with just the right amount of voice modulation to elicit the right emotions from the viewers. 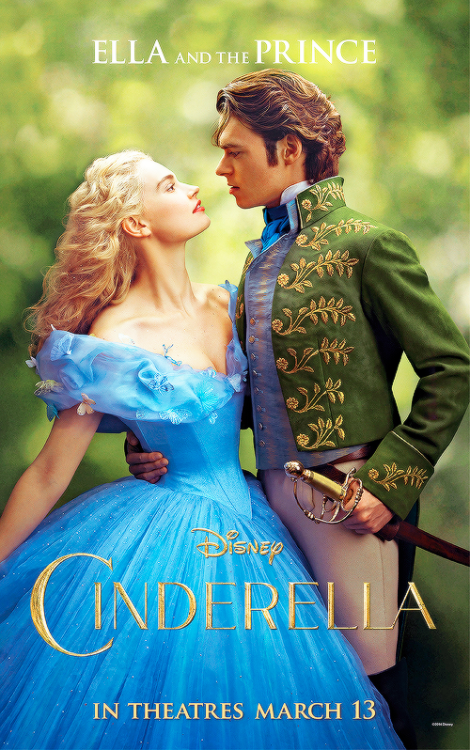 The dresses and costumes in the movie are absolutely gorgeous and kudos to the designer, Sandy Powell for designing such eye catching dresses which made me want to switch places with Cinderella and even the stepmother whose ball gown looked so lovely! The Prince made my heart flutter in his crisp, royal costumes in vivid colours that set him apart. 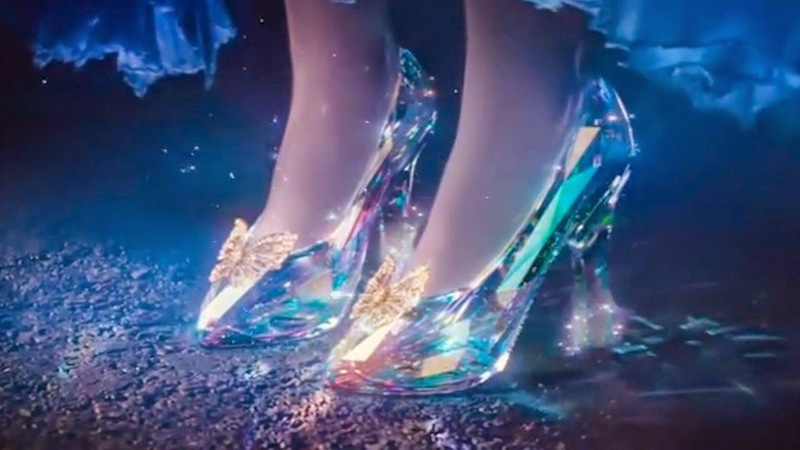 The lovely glass slippers yet again made me yearn to own one myself and hope for a fairy Godmother just like Cinderella's! The music and sound score by Patrick Doyle is melodious, if not very memorable. It had me enchanted throughout the movie and I felt like anything was possible while I heard the melodious tunes and watched the magical love story unfold on the screen! All in all, this movie had me feeling hopeful, courageous and hopelessly happy. "The End" on the screen left me believing in magic and completely inspired with a new enthusiasm to try and achieve anything because just like Ella, I too felt anything was possible when we had kindness and courage in our hearts!